Home » animals » 24. 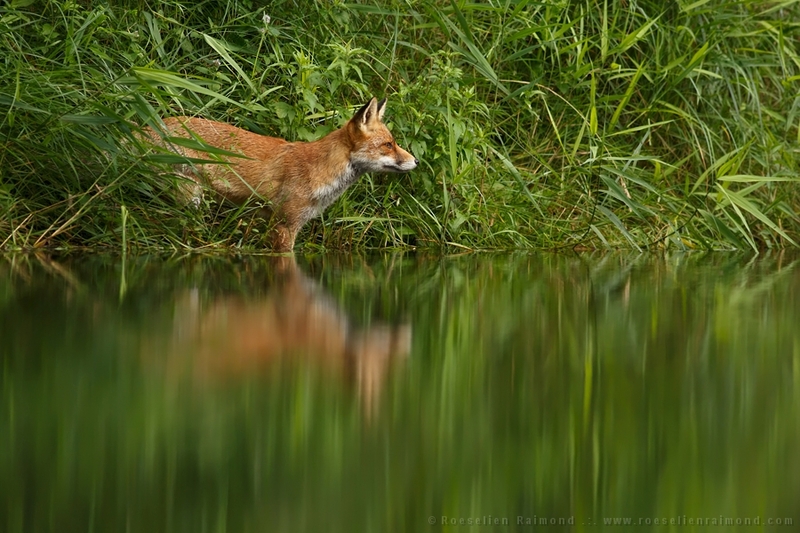 Fox Reflections: What does the Fox See? 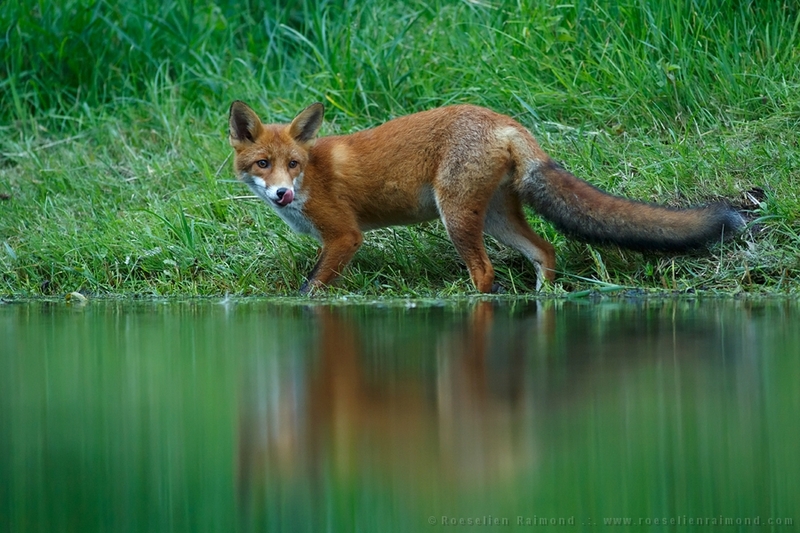 Foxes don’t seem to swim an awful lot, but suspiciously often I see them standing along the waterfront. So the question is….what are they doing there? Of course they might just be thirsty and by lack of a tap,they use channels, lakes or ditches to satisfy their needs. Could it be a a moment of Zen-like mindfulness, a bit of self-reflection, or is it just purely superficial vanity? 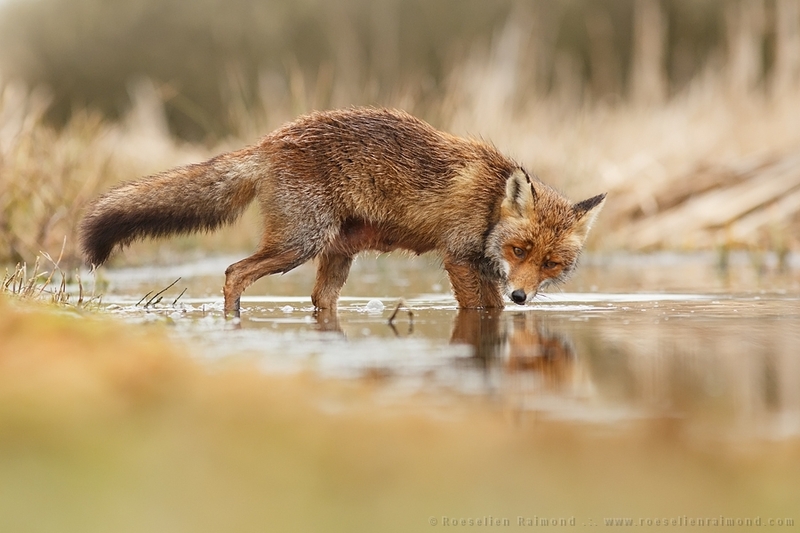 Everyone knows that foxes are very attractive, proud animals, with their gorgeous fur and the most beatiful bushy tail of the entire animal kingdom. That gracious body, their long slim legs and pretty pointed snout. Who could resist this overwhelming beauty..? 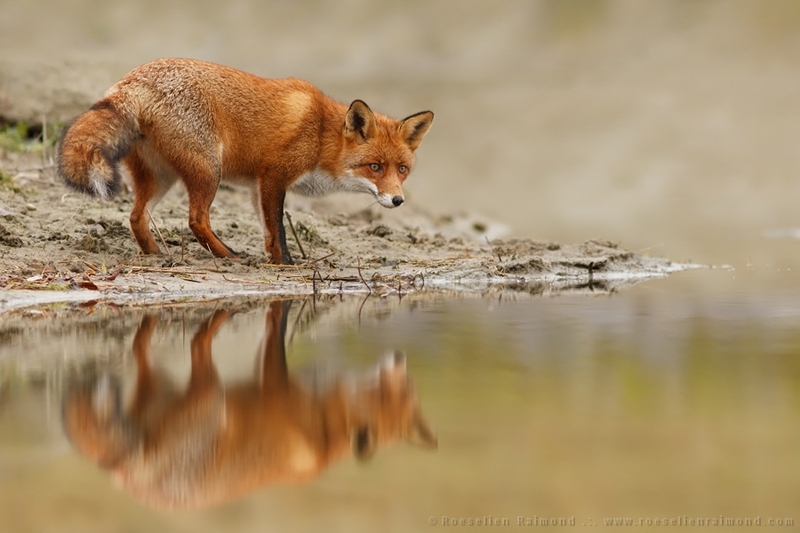 So maybe…when no one watches, foxes just take a moment to silently enjoy their own reflections…secretly admiring the fox in the mirror. Or would it just be a distraction maneuver? 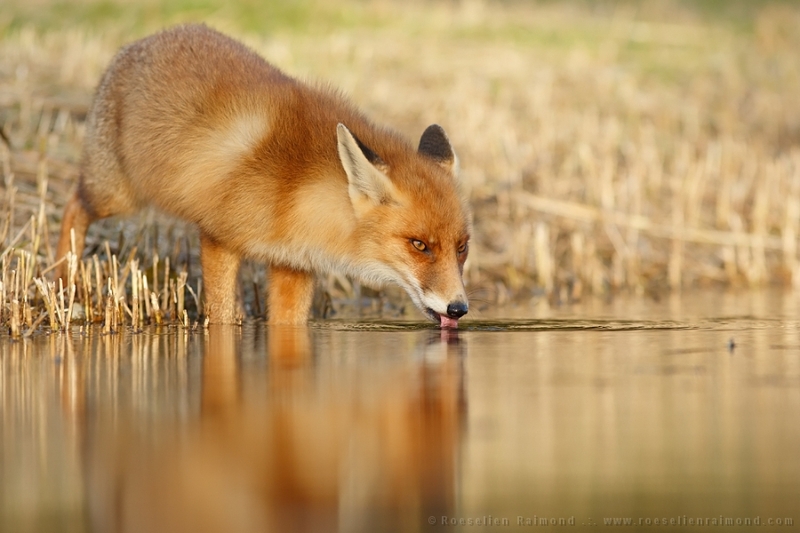 Fox gazing over the water surface…what does the fox see? self-reflection, or is it just purely superficial vanity? I love your work on foxes and honestly this article has helped me develop a new insight to my own foxy character. Thank you. But truly I believe when nature is still, the animals are listening, seeking guidance from the world around them. For foxes it may be the stories of the spirits there since they are one of few animals that can pass through the veils. According to legends anyway. 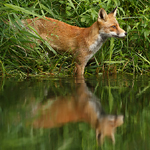 I sent an email to the address listed on your website about the fox reflection photo. Is there any chance that it could be used for a book cover? It’s lovely!